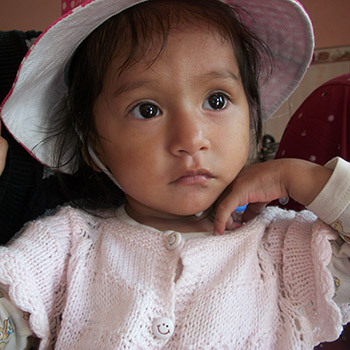 For some years now, Dharma Trading Co. has been funding open-heart surgeries for children in Bolivia. We do this in partnership with Solidarity Bridge. 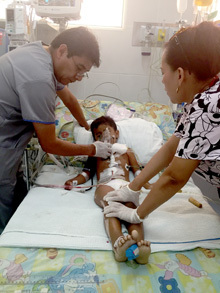 The children are from very poor indigenous families who do not have any hope of paying for these costly operations. Many of the children would not survive without the corrective surgery and many others could not lead normal lives. Milestone reached, thanks for helping make this possible. Dharma Trading Social Projects reached an important milestone in June 2015 when our "Children’s Heart Repair" program financed the 100th child's open heart surgery, funded all or in part by Dharma. Our work with Bolivian sewing coops led us in 2005 to begin funding open heart surgeries for indigenous Bolivian children with life threatening heart problems and where extreme poverty offered them no hope. We partner with Solidarity Bridge, an organization dedicated to serving the Bolivian poor, and with several Bolivian surgeons willing to donate their skills. In this way over 100 little lives have been saved. It is through the efforts of the Dharma staff and the support of our customers that we have the good fortune to be able to help these children. During a 10 trip to Bolivia, I visited all of the projects we support. Regarding the Children's Heart Repair project, I had a chance to meet some of the children whose open heart surgeries we have made possible. Meeting them and their parents was very emotional and very real. If one has children, or even if not, it's possible to understand the deep gratitude they feel for the saving of their child's life. 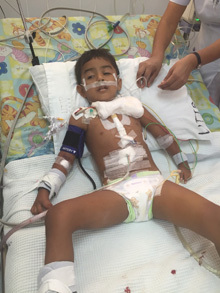 Unfortunately, the cost of open heart surgery is rising, even in Bolivia, and we will not be able to underwrite as many this year as in past years. Miracles - how it works. 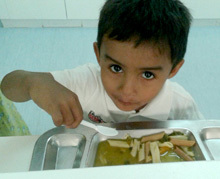 In a rural mountain area of Bolivia there's a 3 year old indian boy with a heart problem. He's weak, not developing properly and his future is in doubt. The family income is less than $100/month - barely enough for the room they rent and food. His mother says: "The truth is that I do not know what to do because I do not have the money to pay for the costs of the operation required by my small son. 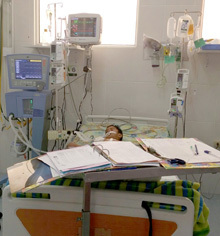 I am desperate and ask God every day to have mercy on my little son and to be able to receive the help to save his life. I do not resign myself to lose him and if something happens to him I do not know what I would do." Thousands of miles away, in California, a man prays and receives that it is correct for him to pay for operations for children far away in Bolivia, and so the 3 year old gets his operation. Her prayers have been answered, a man she never met in a place she never heard of, helps her son - a miracle has occurred. We finished 2016 with having funded open heart surgeries for 22 children, bringing the total since we started up to about 128. This coming year 2017, we have high hopes to increase the number of children we can help. The good news is we have been able to play a part in providing open heart surgery for 14 children so far this year and about 120 children since we started in 2005. The not so good news is we won’t be doing 50 surgeries this year as we hoped. We began with the expectation that our partnership with the Public Children’s Hospital in Santa Cruz Bolivia would dramatically increase the number of children we could help each year. Sadly, limitations have arisen - understaffing, challenges in training, limited operating rooms and ICU beds - all in a high demand hospital. 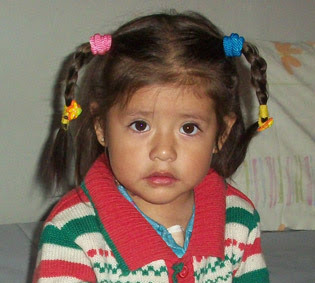 None-the-less, we continue on with in an additional hospital in Santa Cruz as well as one in Cochabamba and may yet see 25 children this year with a new lease on life. A cross-section of 12 patients served by the Children’s Heart Surgery Program between 2008 and 2014 was chosen for follow-up via home visits and interviews in the months of August-September 2015. Following are the summaries of the current situations of these patients, including six from Cochabamba and six from Santa Cruz. 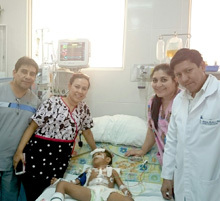 Monday August 31st, the first children’s heart surgery case using the donated heart-lung machine was done in the first public cardiac surgery unit of Bolivia. The child is extubated and recovering well. This has been a difficult and challenging, but fruitful, collaboration between Solidarity Bridge, the Children's Hospital of Santa Cruz, the State Government of Santa Cruz, the Belga Hospital, Lurie Children's Hospital, Medtronic, the many professionals from the Incor Hospital in Santa Cruz and the generosity of Isaac and Renee Goff and Dharma Trading Co.. This is who we are at our best and this effort is one of the deepest expressions of solidarity in which we have engaged. When first proposed, some years ago, that we create this partnership with the Children's Hospital of Santa Cruz, it appeared quite unlikely to many that we would succeed. The public hospitals had tried to create cardiac surgery units for adults (easier than children) resulting in failure after failure because of the death of patients. Why is this effort succeeding? There are many reasons, but these are key. Timing - it’s all about timing - which in this case is now. The Hospital needed Solidarity Bridge to be catalytic with the right partners and provide the basics in terms of equipment/supplies/instruments. Isaac and Renee Goff agreed to donate the Heart/Lung machine and provide the ongoing financing. The collaboration that is referenced above. There may be future setbacks, but I believe this milestone bodes very well for the future. The service is now operating one child a week. As they continue to grow in capacity, we hope that number will increase. We look forward to hundreds of young lives being saved and for the fruitful and healthy lives these children will lead. 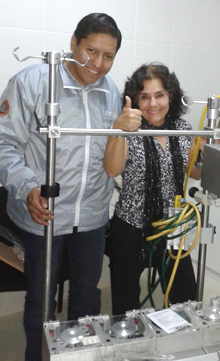 Last year Dharma purchased a Heart/Lung machine for donation to the Children's Open Heart Surgery program we are helping to establish at the public hospital in Santa Cruz, Bolivia. The machine has been stuck in customs all these months but has finally been released. This machine will help us reach the goal of performing as many as 50 surgeries each year which translates into 50 little lives saved or improved.